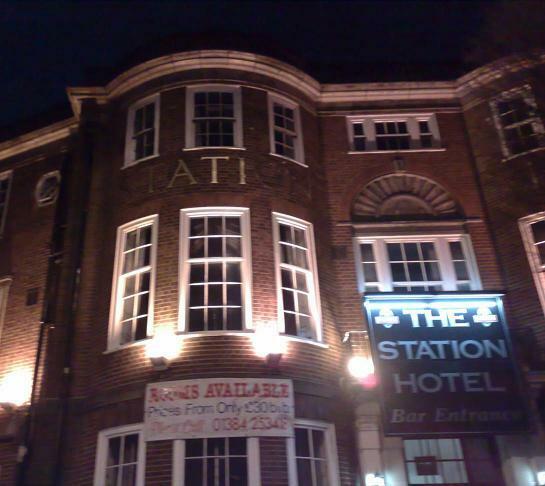 Is The Station Hotel haunted? The Station Hotel in Dudley, first opened its doors to the public in 1898 and in 1936 (after the burning down of an earlier Opera Theater in 1933) the Dudley Hippodrome opened opposite the Hotel. Many stars of the time stayed in the hotel, such as George Formby, Laurel & Hardy, Bob Hope and Jonny Ray. In the 60's the building was modernized with the addition of a cocktail bar upstairs and a function room downstairs, which reputedly held the record for the longest bar in the world at the time! One of the well known stories of the hotel is that of George Williams, a former hotel manager who enticed a servant girl called Elizabeth Hitchen, into the cellar. After turning down his advances and threatening to tell his wife, he horribly murdered the girl by strangling and stabbing her before hiding her body in a barrel. Could this story have a direct relation to the hotels most haunted room by far, Room 214? It's in this room that people experience a noisey and disruptive poltergeist that manifests itself as a dark shadow over the bed. Locked-off camera's during Most Haunted's visit in 2003 even caught a bed and a chair moving by themselves, proving to be some of the show's most compelling evidence!